DAW Guide: Which Digital Audio Workstation Should You Choose? There are so many options when choosing a Digital Audio Workstation (DAW) and purchasing the one that’s right for you can prove to be a daunting task. Having gained experience using virtually every DAW over the past two decades, I can honestly say that there is no objectively best choice. There are subtle, and not-so-subtle differences in appearance, workflow and stock capabilities between each of them, and the goal in choosing a DAW is finding one that you feel comfortable with and trust. Hopefully, this overview of the many DAWs currently available on the market can help you make informed decisions if you’re thinking of purchasing a DAW. Most of my audio work is in recording, editing and mixing for music and post-production. Because of this, Pro Tools is the DAW that I use the most and am the most comfortable with. I would go as far as saying that if you hope to have a career in audio that Pro Tools is the one DAW that is a must-own. Pro Tools — originally called Sound Tools when it was released in 1989, is now available in three formats: Pro Tools First (a good starting point for beginners), Pro Tools (a great choice for most home studios), and Pro Tools Ultimate (which you’ll find in commercial and professional studios). My home studio setup is based around an iMac with 32GB of RAM and Pro Tools, and can easily handle sessions with over 130 tracks, with dozens of process-intensive plugins. Although Pro Tools has evolved a lot over the decades, it still leaves much to be desired in terms of advanced features and stock capabilities. Regardless, chances are Pro Tools was used in some capacity during the creation of your favorite modern movie, television show or album. Many of the world’s greatest and most decorated audio engineers use Pro Tools, across a wide variety of mediums. It’s not the most elegant, versatile, or cutting-edge software, but I truly believe that if you hope to make a living in audio, Pro Tools is the DAW to own. Music Recording, Production, Editing, Mixing & Mastering; Sound Effects Recording, Editing & Mixing for Post-Production; Recording for Broadcast and Live Event Production. While Pro Tools is a pretty straightforward workhorse DAW, I must say that the workflow is second to none — the shortcuts and user interface are intuitive as they come, and I believe that this is a big part of why it has become the industry standard. While I personally have never fallen in love with Logic the way that many musicians, producers and engineers have, it is a very deep and powerful piece of software that benefits from a slick yet playful aesthetic, and a wealth of features and sounds straight out-of-the-box. For composers and producers in need of a DAW for the purpose of recording temp or demo tracks, Logic is arguably in the top tier. 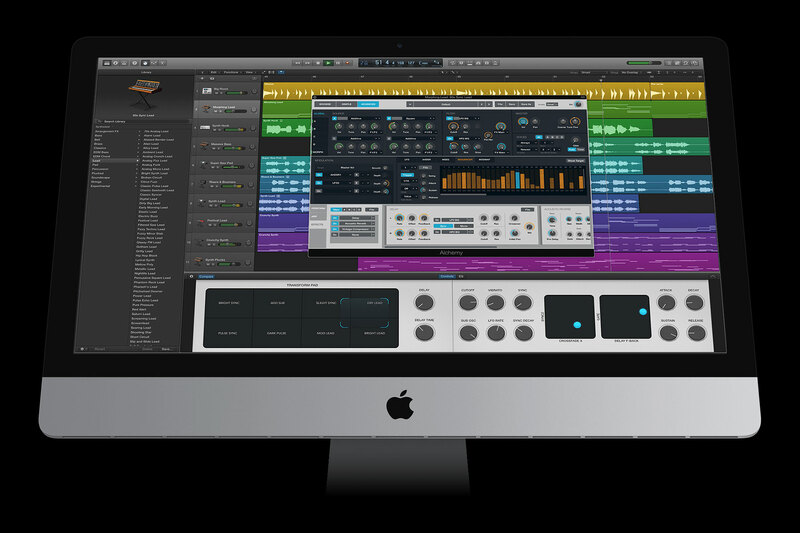 The virtual instruments and plugins that come preloaded onto Logic Pro X are of high-quality, both in look and sound, and would serve any sound designer very well. The MIDI editing is solid, and there are a wealth of features that make it a great choice for any type of production and mixing. To me, the shortcuts and layout of Logic have always left something to be desired. I’ve never gotten to the point where I can execute warp-speed wizardry the way I can with Pro Tools, but that’s partly because I ‘grew up’ using Pro Tools, so to speak. If you’re looking to purchase a DAW specifically for music production, composition and beat-making, I’d venture to say that Logic is superior to Pro Tools. 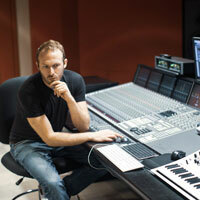 Some of today’s top Producers and/or DJs use Logic, including Calvin Harris, David Guetta and the legendary Brian Eno. Music Production, Recording & Mixing; Composing & Scoring; Sound Design. Logic has always included incredibly robust virtual instruments. Alchemy is a stunningly deep and powerful software instrument and ranks among my favorite soft-synths on the market. Note: I will refrain from dedicating an entire section of this article to Garageband from Apple, but truthfully, it’s a fun app that is entirely capable of documenting and developing musical ideas. I actually found inspiration for a song I wrote and produced from an upcoming release using Garageband on my iPhone. First things first — the name of the program is ‘Live’ and the company that distributes it is ‘Ableton’ … get it right! I recently wrote an article in which I proclaimed that Ableton Live is a superior DAW for music production, and I stand by that claim as Live is deeper and more flexible than both Pro Tools and Logic for this application. I’ve found that Live unlocks creativity in a way that no other DAW does, so if I’m not feeling inspired, I’ll take a break from the grind of audio editing within Pro Tools and open up a new Live Session. Live, with its unique use of Session and Arrangement views, allows the user to approach sound and music from a different perspective. It’s also arguably the most forward-thinking DAW on the market and is packed with high-quality stock sounds and next-level features that make it a fantastic choice for anyone interested in music production, sound design, live performance and “less traditional” types of sonic media. I myself was in a band in college that made music using Ableton Live and Nintendo Wiimotes as our only instruments. We were, of course, called The Wiitles. Live’s ability to interface with a wide variety of controllers including the wonderful Ableton Push make it a dynamic option for live performance, and the esoteric Max for Live secures Ableton Live as one of the most malleable DAWs available today. The supportive and vibrant community of Live users and third-party software developers have made Live a must-own product for anyone interested in expanding their perception of what a DAW is designed to do. World-famous Producer/DJs including Skrillex, Diplo, Flying Lotus and many more use Ableton Live to create music. The program’s capabilities are by no means limited to EDM, however, and Live was used during numerous productions of Cirque Du Soleil. Electronic Music Production; Sound Design and Composition; Live Performance; Certain Virtual Reality, Augmented Reality and Spatial Audio tasks. Truthfully, there are so many mind-blowing features in Live, but I’d have to say Ableton Push Integration. The Push (Push 2 now available) simply needs to be played to be believed. It is the most fun, intuitive, and flexible controller on the market, in my humble opinion. Similar to Logic, certain producers absolutely swear by FL Studio. I always held the opinion that FL felt a bit “toyish” compared to other DAWs, but after spending some time with the program (mostly hoping to learn why so many of my audio students use it as their DAW of choice) I can understand why it has so many enthusiastic users. It has a colorful, but not oversaturated look (especially the latest iteration, FL Studio 20) and the stock effects, features and instruments provide a great, easy to learn starting point, especially for users looking to create hip-hop or electronic music. If you’re interested in making beats and straightforward music production exclusively, you’d be well-served in choosing FL Studio 20 as your main DAW. Well-known users include the late Avicii, Martin Garrix, and Deadmau5. If you’re hoping for a career in post-production, high-end mixing, or other audio work, however, I would recommend that you look elsewhere. Music Production, Mixing and Beat-making. The Edison audio recording and editing tool is a really interesting plugin that provides a unique approach to sampling and slicing. Cubase is a truly impressive piece of software. It looks great, it sounds great and has a seamless and intuitive workflow. If I didn’t engage in so much post-production editing and mixing work, I would consider making Cubase the centerpiece of my home studio. If you’re interested in music composition, recording, production, mixing and mastering, it’s difficult to find anything that Cubase doesn’t excel at. Steinberg, who developed and released the VST (Virtual Studio Technology) in 1996, has always excelled at creating top-notch software designed for professional musicians and engineers. I prefer how Cubase handles MIDI to Pro Tools, and there are certain features like VariAudio, the ‘Melodyne-esque’ vocal tuning tool that makes me wonder why Pro Tools hasn’t done something similar. One of my favorite composers, Junkie XL, prefers to use Cubase over other DAWs, and I suggest binge-watching his YouTube Channel for an inspiring glimpse at what a brilliant musician can do when they’ve truly mastered a DAW. If you’re interested in a combination of traditional music production and recording, and composition for visual media, you’d be well-served in purchasing Cubase, which is available in Pro, Artist and Element versions. Music Recording, Production, Editing, Mixing and Mastering. I believe that every DAW at this point should have a vocal tuning and editing suite as a stock feature, and Cubase gets it right with the intuitive and flexible VariAudio. Nuendo was actually the first DAW that I ever worked on, and admittedly, my migration to Pro Tools did take a good amount of time and effort. Nuendo is a very robust piece of software, and is designed to be used by Professionals in the post-production for film, television, and gaming industries. The many high-end features designed for working sound designers, ADR and Foley recordists and mix engineers help justify Nuendos’ nearly $1,900 price-tag. For anyone interested in opening a commercial studio, Nuendo would make an impressive centerpiece. Professional Post Production work including Sound Design, Editing, Mixing, Foley and ADR. The randomizer is a beastly sound design tool, allowing the user to make changes to Pitch, Impact, Color and Timing of an audio file. While Studio One might not have the history, reputation or popularity of some of the other DAWs on the market, it is a lovely piece of software packed with numerous practical features. For songwriters and composers who take their work seriously, and require a DAW that handles the demands of these fast-paced and hyper-competitive industries, the slew of unique capabilities including harmonic editing and chord detect make Studio One, which is also available in three versions, a serious contender. The chord detector is a stunning feature that quickly and intuitively allows Studio One users to determine the chords from an audio file. The separate “chord track” allows the user to make non-destructive real-time changes to the chords of their song. These compositional tools make Studio One one of the premier DAWs for composers and songwriters. Music Composition, Production, Mixing and Mastering; Music Notation. Digital Performer is a tried-and-true, professional-level DAW. Many successful composers cite Digital Performer as their DAW-of-choice when creating score mockups and composing, including Michael Giacchino, Danny Elfman and Alexandre Desplat. There is a vast-community of music makers that swear by DP, which is packed with powerful capabilities including multiple automation lanes, relative pitch editing, and more. The ZTX PRO Algorithm sets Digital Performer apart from most other workhorse DAWs, giving the user high-quality and extremely flexible pitch and time controls that rival the capabilities found in any other DAW. Music Production, Editing and Mixing; Composition and Scoring. High-quality features designed for professional composers. Top-notch elastic audio and warping functions. Slightly less robust instrument library as compared to other DAWs such as Ableton Live or Logic. Reason is one of the more uniquely designed DAWs on the market. I first used Reason via Rewire as a sort of virtual instrument within Pro Tools, but several substantial upgrades have cemented it as a viable standalone DAW. The instruments and effects within Reason are intuitive, fun, and sound great. The rackmount look and feel isn’t for everyone, but I actually really enjoy how it forces you to think about signal flow. Similar to Live, if I’m feeling a bit uninspired, the colorful look and wide variety of excellent stock sounds allow me to feel as if I’m playing rather than working. I have a hard drive that is nearly full with Refills, and I use them regularly. I am still not comfortable using it for recording and editing, but Reason has solidified its place within my music production workflow. The rackmount-inspired workflow allows for complex routing scenarios and therefore wild sound combinations. Because of this, users can create textures that they might have never otherwise stumbled upon in other more typically- designed DAWs. REAPER by Cockos takes an anti-Apple approach to the DAW in that users are able to customize themes and other capabilities though RealScript. Reaper comes with a healthy selection of plugin effects and instruments, and is compatible with the VST standard. Impressively, REAPER is updated every few weeks according to the website, and I suggest trying the free 60-day trial to see if this unique DAW is right for you. To learn more about Reaper, we recommend our friend Jon Tidey’s website, REAPER Blog. Music Recording, Mixing, Production, Editing and Mastering. Without a doubt, the edibility via ReaScript places Reaper head and shoulders above the competition. Adobe has created many dazzling pieces of software including Photoshop, Premiere Pro, After Effects, and many others, so it’s no surprise that their DAW, Audition, is a similarly impressive program. Audition integrates well with the other Adobe Programs, so if you use them regularly, this is reason alone to give it a spin. Audition was one of the first DAWs to feature an editable Spectral Display, so for precise analysis and cleaning up of audio, Audition is a viable option. I couldn’t see myself using Audition for full-on music production, but for detailed audio editing and restoration, I actually prefer Audition to the other DAWs. Audio analysis; Editing and Restoration. As a sound designer for film and television, it’s essential to record and build your own expansive sound libraries. For in depth audio editing, and then adding metadata and tags to your files, the audition workflow and capabilities are top-notch. 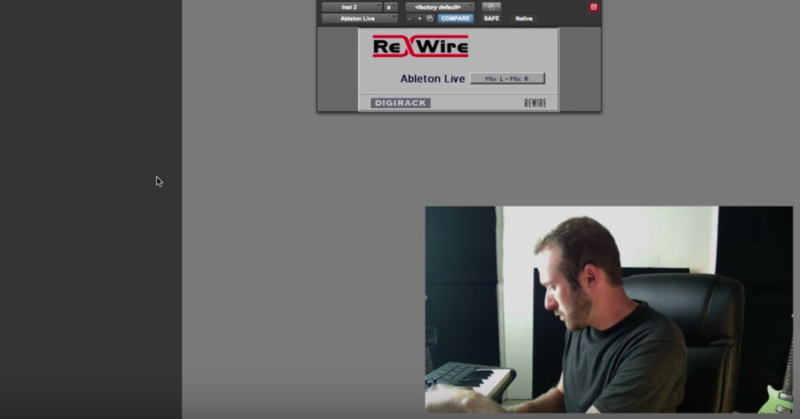 Upon researching Bitwig Studio, you’ll find many comparisons between it and Ableton Live. This is in part because the software was developed by ex-Ableton engineers, and also for its clip-based approach to arrangement and production. Bitwig users love it for its highly-flexible modulators, which place it amongst the best DAWs for advanced synthesis and sound design. There are some differences in workflow and GUI that you may prefer to Live. Music Production and Mixing; Advanced Synthesis and Sound Design. Polyphonic (per-voice) modulation allows users to create synth textures with a level of complexity that no other DAW on this list can achieve. A new-ish entry to the DAW market is Mixbus from Harrison, who are well-known for their classic recording consoles. 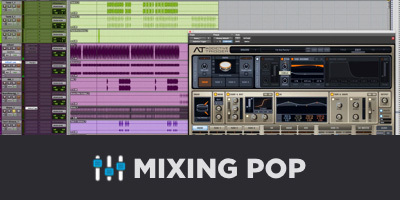 Mixbus was designed for users who longed for a more traditional, analog feel to a DAW, and the original version wasn’t MIDI-capable. Eventually, Harrison incorporated MIDI, although still market Mixbus to users who prefer their DAW to feel like a console. High-quality, analog-inspired processing including Filtering, Equalization and Compression on each channel. Great for those who have experience with analog consoles and prefer that workflow. Arguably a ‘niche’ DAW that might stifle users’ creativity. Not designed for certain types of modern music production. Cakewalk has many of the features and flexibility of the other workhorse DAWs but is strangely only available for PC. If I didn’t prefer working with a Mac, Cakewalk would be worth giving a long look at. Users praise Cakewalk for its crisp interface, streamlined workflow, high-quality effects and features including touch-screen integration. My hope is that one day, all other DAWs follow suit and allow for touch-screen integration the way that Cakewalk has. Tactile expression is sorely missing from the workflow of most DAWs, and I believe that features such as this are the future. 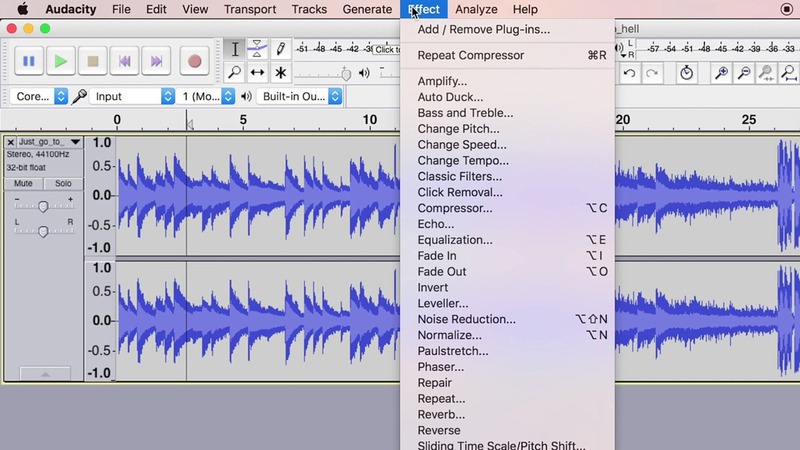 For anyone not looking to spend any money whatsoever on a simple, yet functional DAW, I suggest Audacity. It provides a great starting point for anyone not yet ready to drop hundreds of dollars on recording software. Basic Audio Recording, Editing and Mixing. Audacity is admittedly bare-bones, so I suppose the fact that you could direct your Mom how to download it and get it up and running within 10 minutes (give or take) would have to be its unique feature. First released in 1992, Samplitude is one of the first software DAWs on the market. 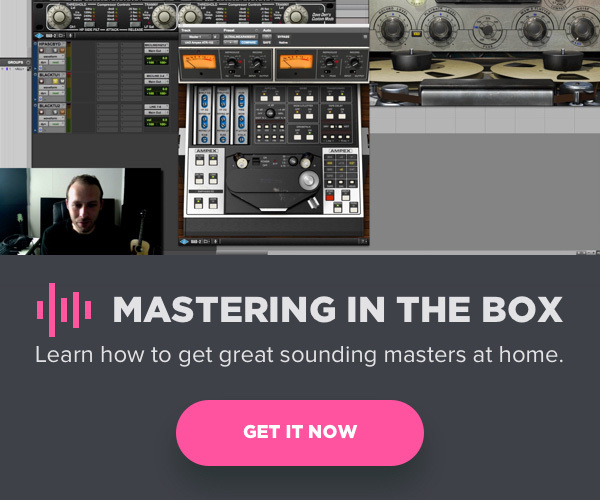 It’s a deep application with advanced tools for editing, mixing and mastering that comes loaded with instruments and production tools that should satisfy most composers, producers and beat-makers. While it doesn’t have the user base of Pro Tools, Logic, etc. — it most certainly has a comparable set of features, some of which are unique to Samplitude. If you’ve read a review of Samplitude, hands-down, one of the most beloved features is the Object Editor. By the way, an “object” is the same thing as a region, clip, etc. You can insert plugins, send to an aux, adjust pitch & time, or perform simple tasks like boosting gain, adjusting pan and renaming objects. It’s worth mentioning that each object maintains its own settings independently (including automation), and settings can be easily shared with other objects using snapshots. Each mixer track has an input gain and EQ, allowing you to make quick adjustments without using up inserts. The docker allows quick access to things like Visualization (phase scope, spectroscope, tuner, and more), File Browser, and Takes. You can customize the look of Samplitude by switching between different skins, although I’d like to see a sharper, more crispy UI. If you’re a Windows user or feeling adventurous with Bootcamp/Parallels on your Mac, definitely check out the free trial of Samplitude Pro X3. It’s an incredibly powerful DAW that will give you all the tools you need to produce, mix and master in one DAW. The Object Editor. It’s kind of a game-changer. See my explanation above. As you can see, well-known musicians, producers, engineers and all types of audio professionals use a wide variety of Digital Audio Workstations, and while I do recommend finding one or perhaps two that best fit your needs, I certainly encourage demo-ing some of those that you’ve yet to gain experience with. Each DAW provides a unique approach to capturing and mixing audio, and I find that the broader perspective one has when it comes to the tools they use, the more well-rounded and adaptable they are. Ableton Live 10 — What’s New?